Linda A. McCauley, is the sixth dean of Emory University's Nell Hodgson Woodruff School of Nursing. Under her leadership, the School of Nursing has grown its reputation as a nationally-recognized center of academic and scientific excellence, innovation, and achievement. The school’s ranking in U.S. News & World Report’s "Best Graduate Schools" guide has steadily risen in the last five years from its No. 26 ranking in 2011 to its current position as the No. 4 ranking nursing school. During her tenure, the school’s research program has grown into a more than $17 million enterprise, earning distinction as the nation’s top-ranking nursing school for National Institutes of Health (NIH) funding. She is leading an aggressive growth campaign, which has resulted in the hiring of a record number of faculty from the world's top research institutions, more than 500 clinical partnerships in the United States and internationally, and the launch of new initiatives to attract and retain diverse students. McCauley holds a secondary appointment in the Rollins School of Public Health at Emory University and is internationally recognized for her scholarship in environmental and occupational health. She has devoted much of her distinguished career to identifying culturally-appropriate interventions to decrease the impact of environmental and occupational health hazards for farmworkers and young children. In 2016, she secured the largest National Institutes of Health grant in the School of Nursing’s history – a $5 million grant from the National Institute of Environmental Health Sciences (NIEHS) and the U.S. Environmental Protection Agency (EPA) to create the Children’s Environmental Health Center at Emory. The center, a first of its kind in the Southeast, brings together the expertise of the four Emory University units and aims to explore how environmental exposures prior to conception, during prenatal development, and postnatally may affect infant health and development. McCauley is an elected member of the National Academy of Medicine (formerly the Institute of Medicine), where she was recently appointed as a member of the Membership Committee. She also is a fellow of the American Academy of Nursing and the American Academy of Occupational Health Nurses. She serves on numerous national advisory groups and subcommittees that review and/or evaluate current environmental and occupational health issues. 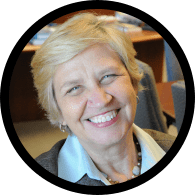 She is widely published in the fields of nursing and environmental health and has provided expert testimony on the health risks of environmental exposures and on policy implications for scientific research. Her work has been published in hundreds of peer review journals and featured in national publications and broadcasts including Time, Business Week, the Atlanta Journal-Constitution, National Public Radio, and the Weather Channel.